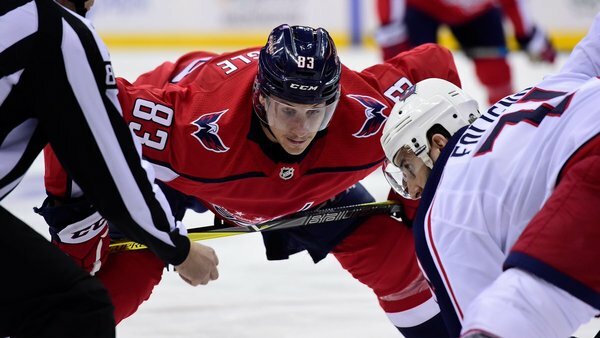 Live updates, photos and videos from the Washington Capitals' 2018 run to the Stanley Cup. Burkovsky's shift chart has changed since i looked at it before to credit him with other shifts, but he seemed to be missing late in first period. Watching replay, Jenner crunched Burakovsky with a hit in the right corner of Washington end with 5:15 left. He left the ice shortly after that and Ovechkin replaced him. They've added two shots on goal to the Capitals' total during the first intermission. Totals are now 19-8 Capitals. There are still 12 skaters on Caps bench to begin 2nd period (should be 13). I don't see Burakovsky, but am not 100 percent certain. Stephenson with Backstrom and Oshie for this shift seems to confirm that Burakovsky is missing. Great pass by Backstrom across to Ovechkin in bottom of left circle. Oshie won the draw to start the PP. The Jackets, regular season and playoffs to this point, have no answer for the Washington power play. 8 for 18 regular season and playoffs combined. ICYMI: Ovechkin and Barry Trotz said he needed to be better in Game 2. He has two goals. Two more assists for John Carlson tonight. He's got five in the playoffs. 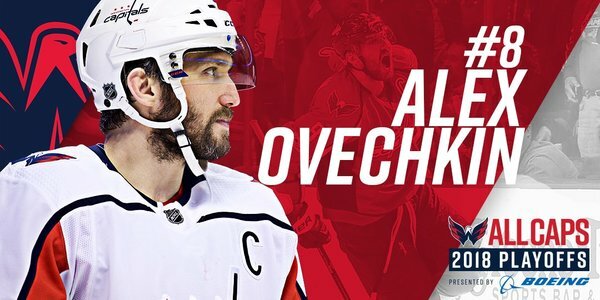 Caps have scored six goals. Caps botch a 3-on-1 rush without getting a shot on goal. Savard broke up Wilson pass intended for Ovechkin. Tie game. PPG Atkinson right circle at 11:13. Another costly penalty by Capitals leads to a tying goal. Four of Blue Jackets seven goals in series have come over Grubauer's catching glove side. Big save by Bob on Backstrom in front.